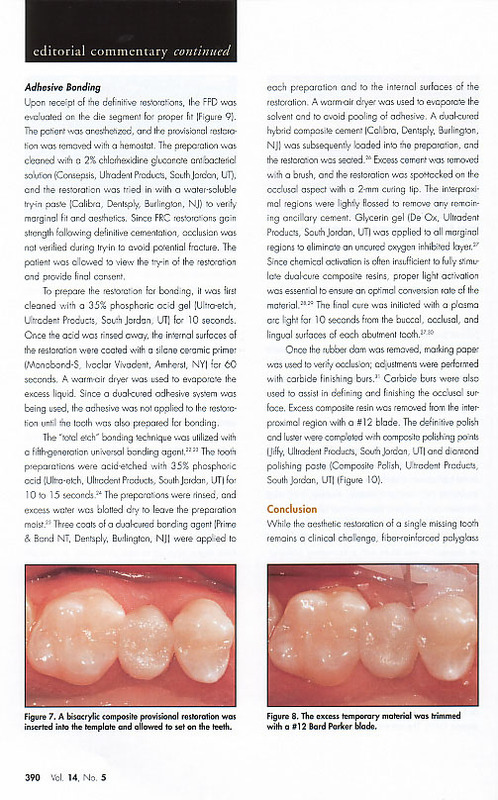 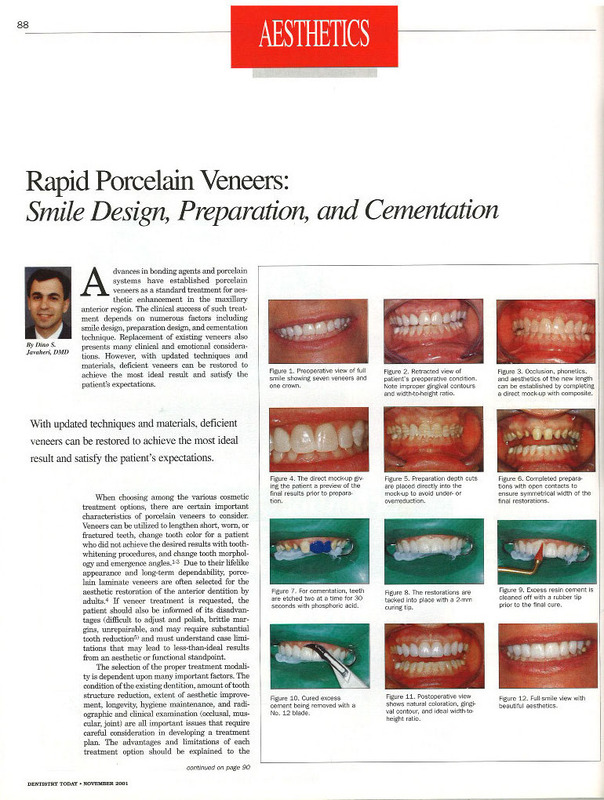 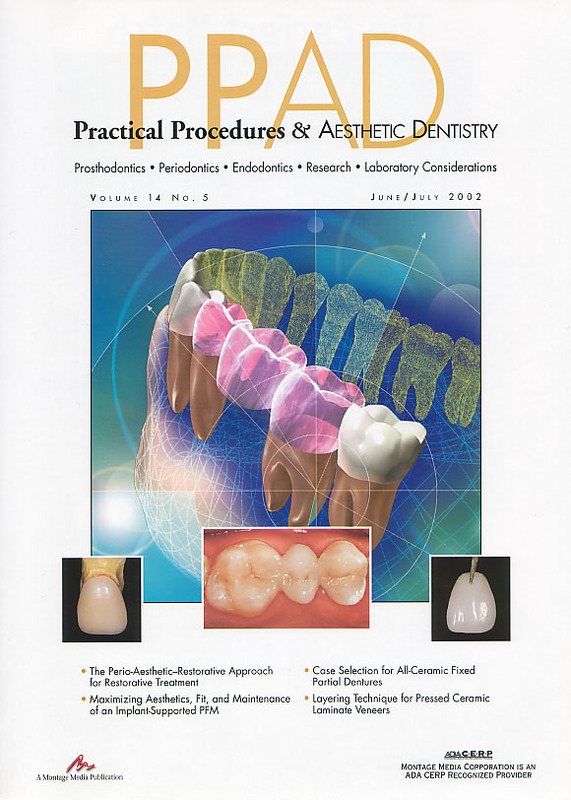 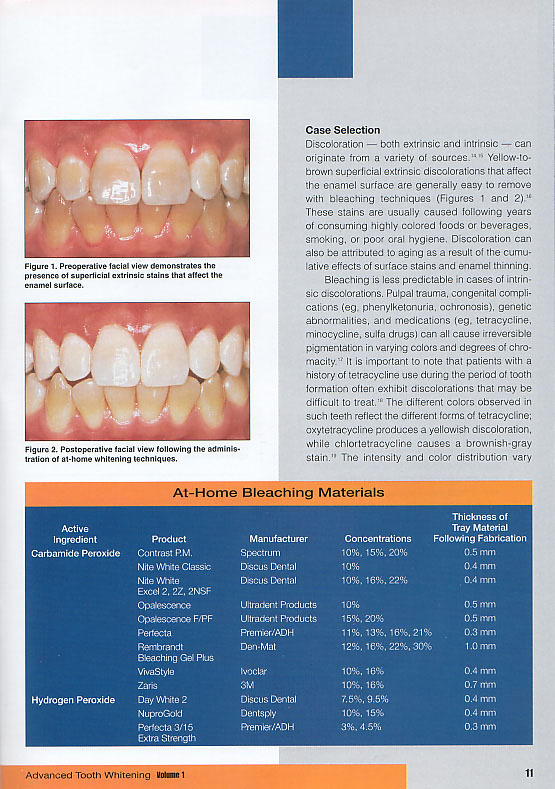 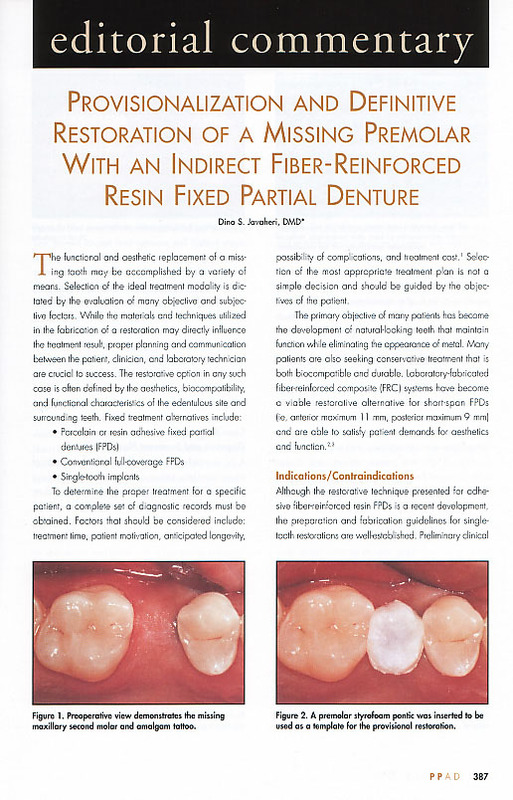 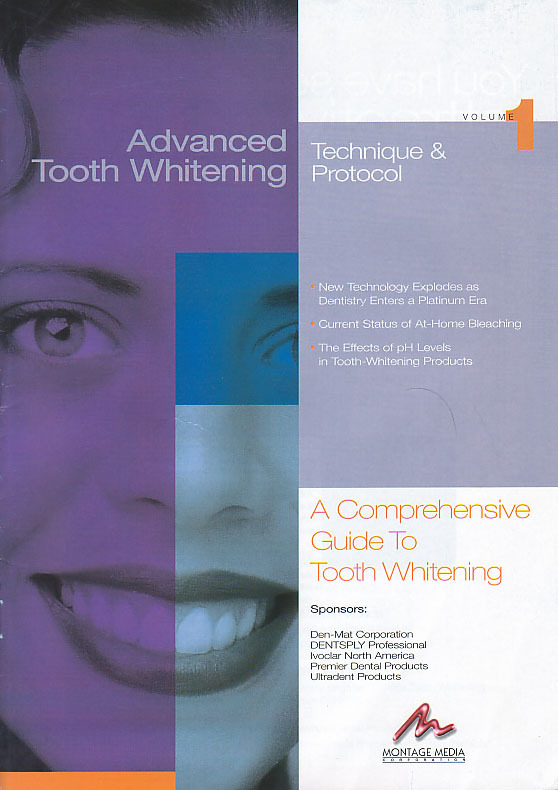 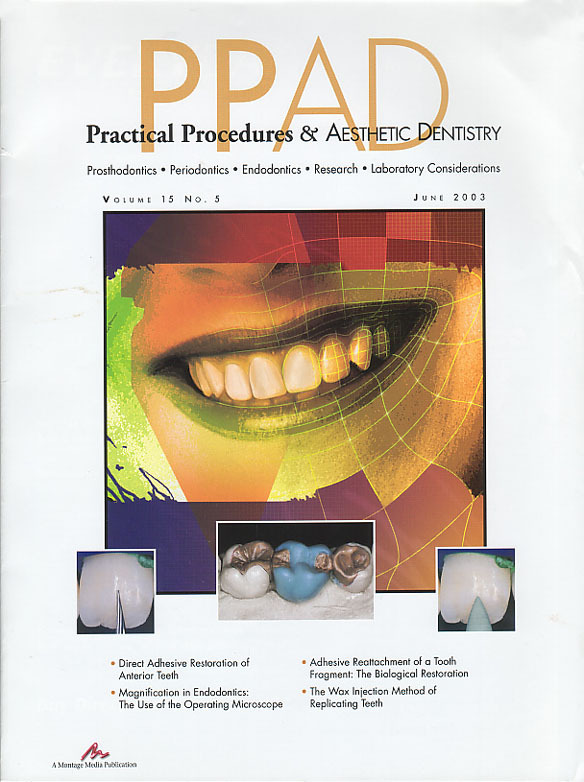 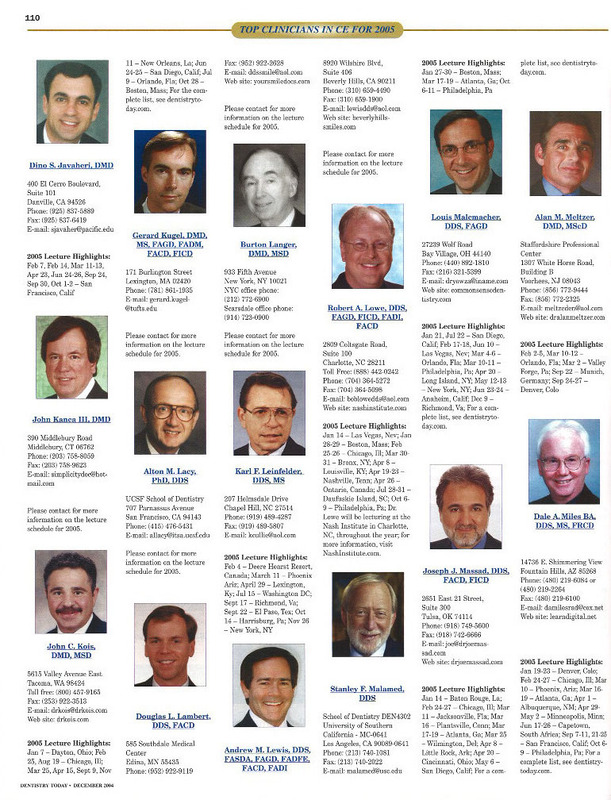 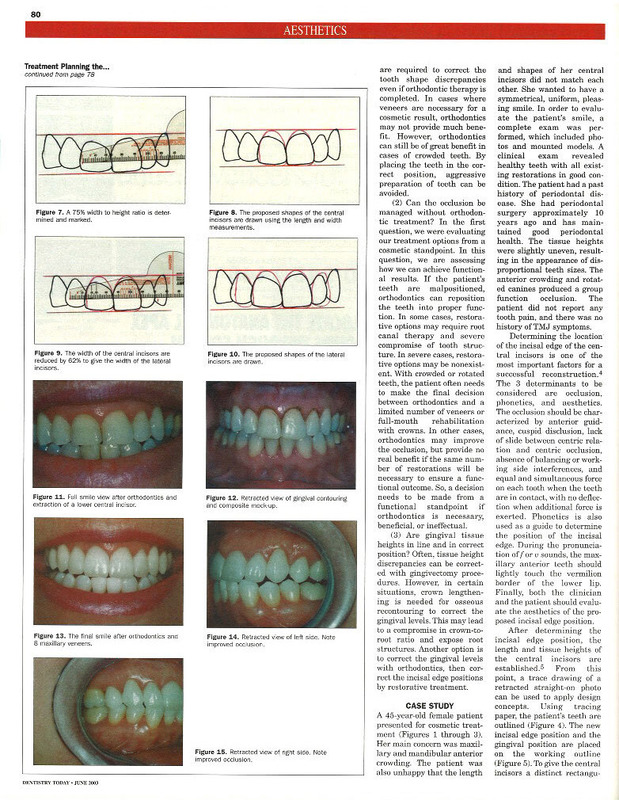 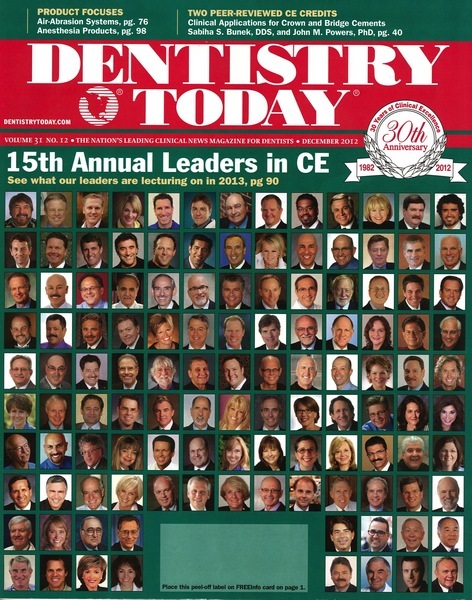 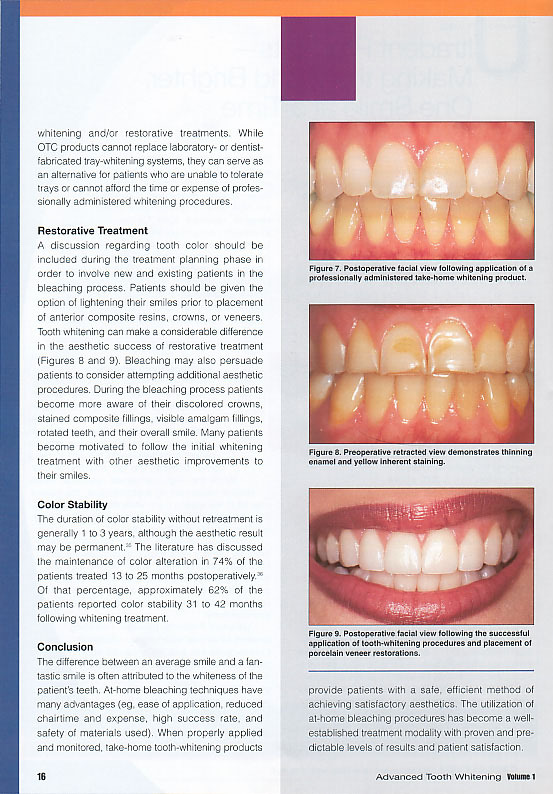 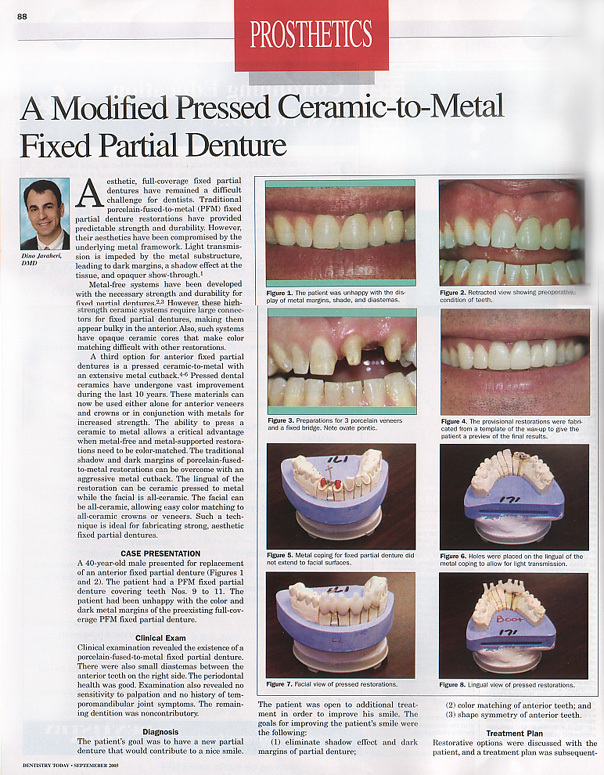 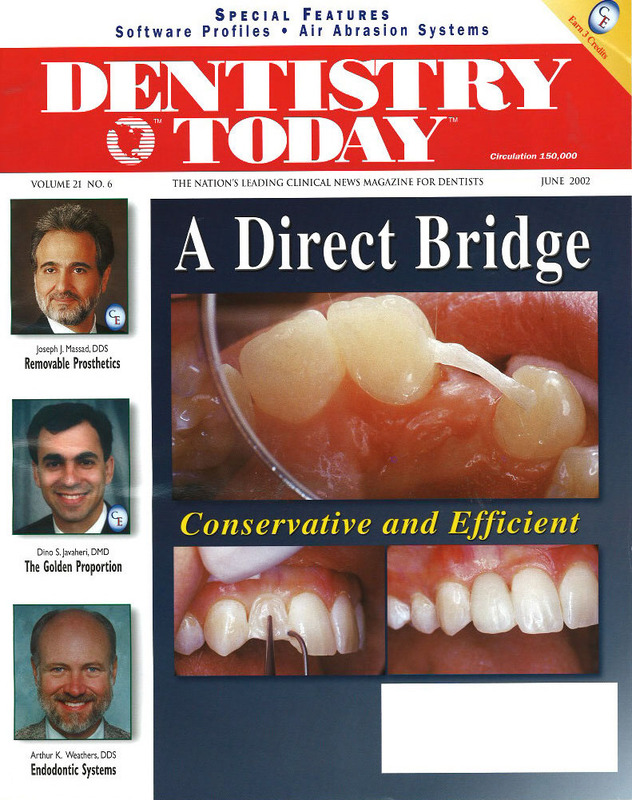 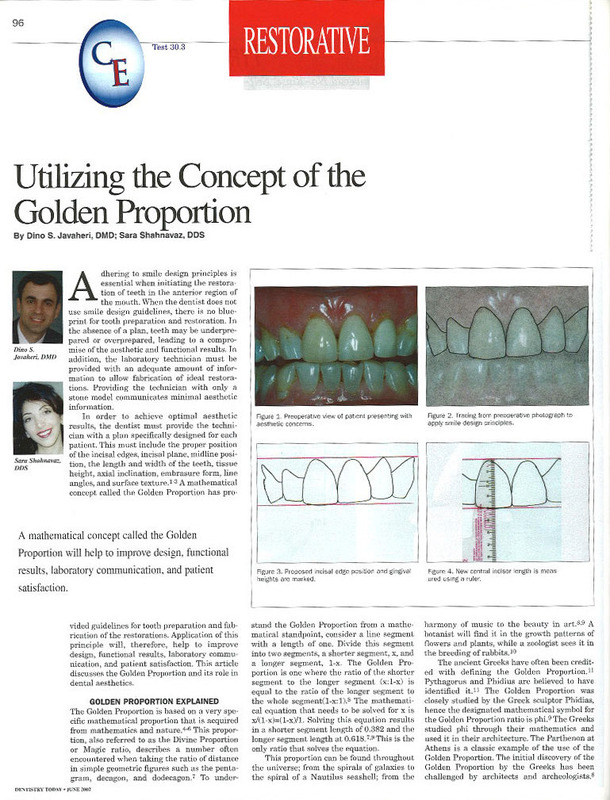 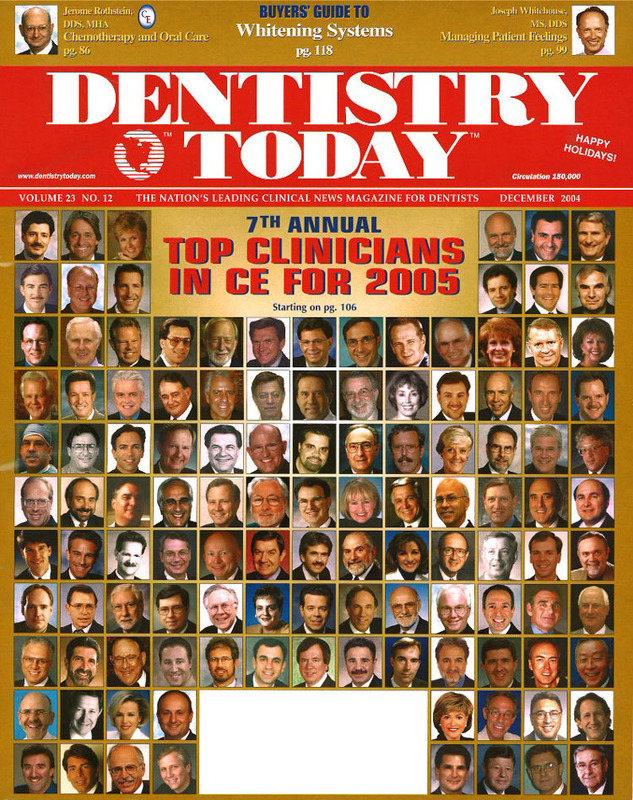 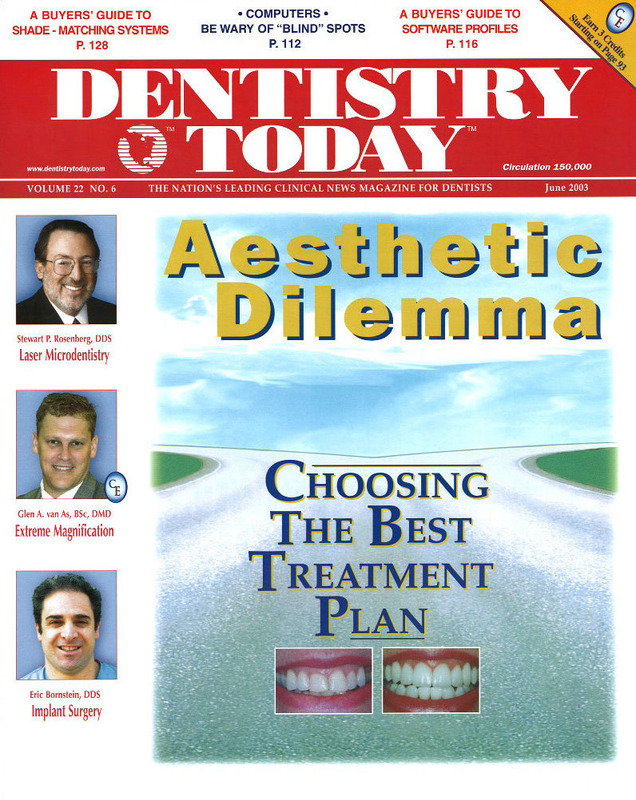 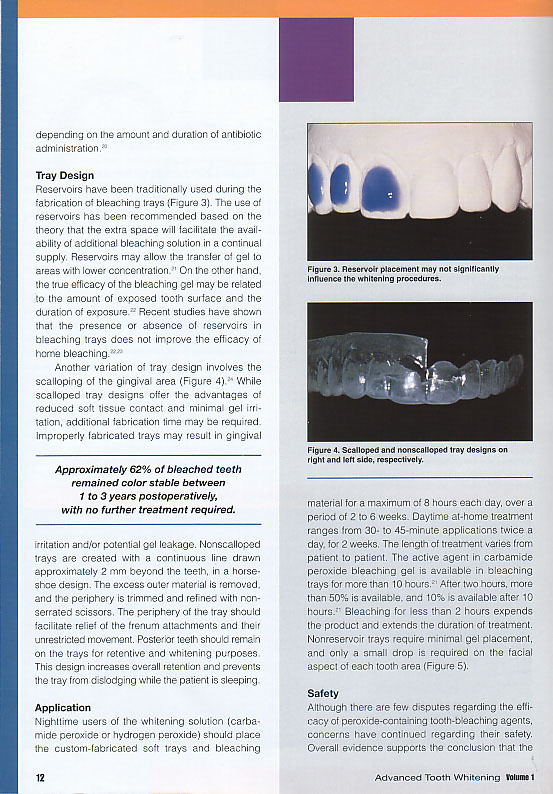 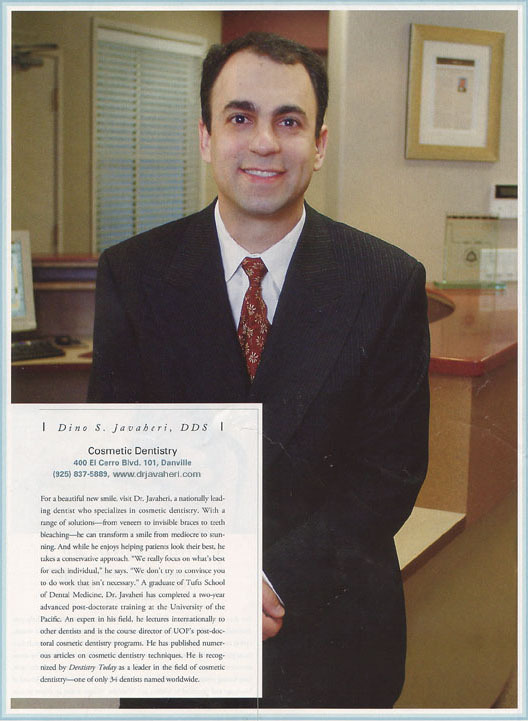 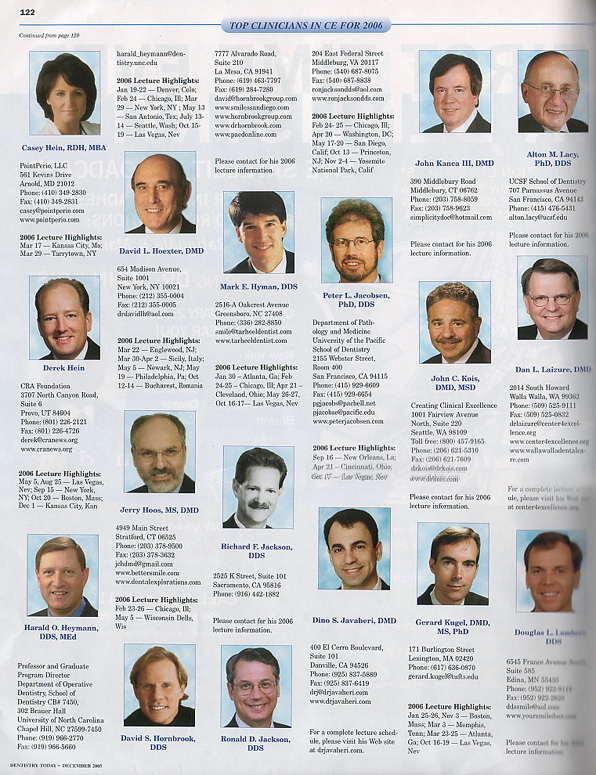 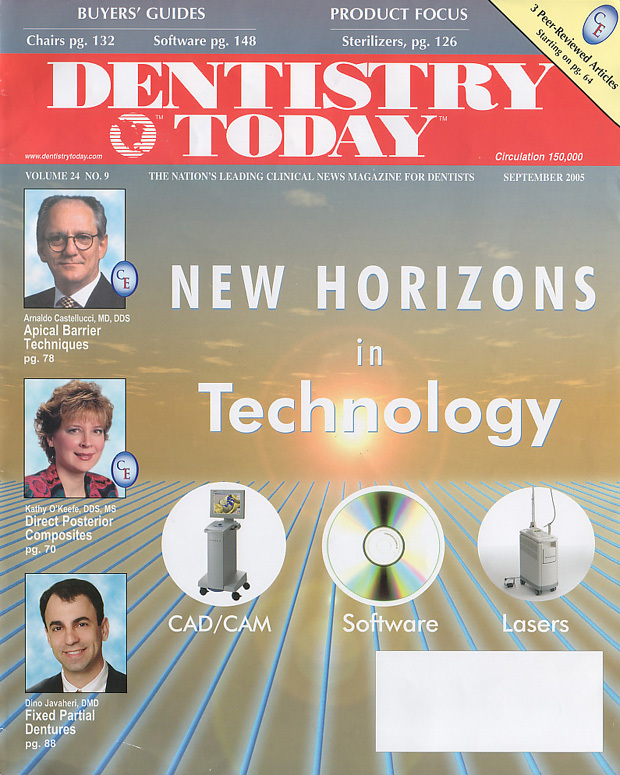 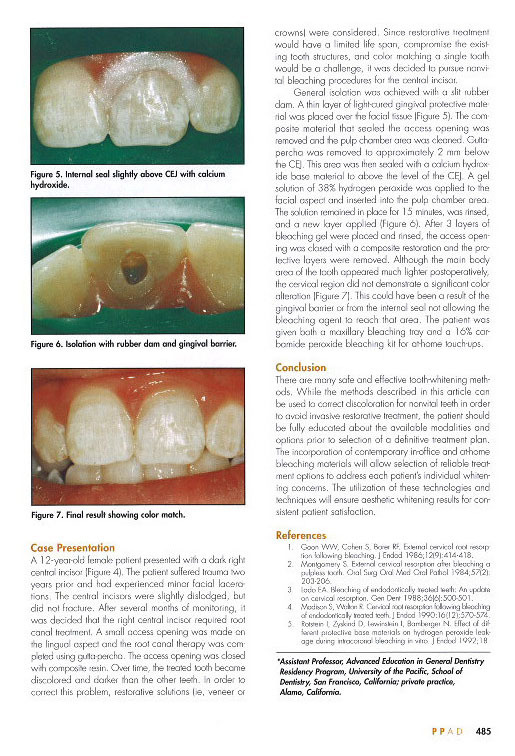 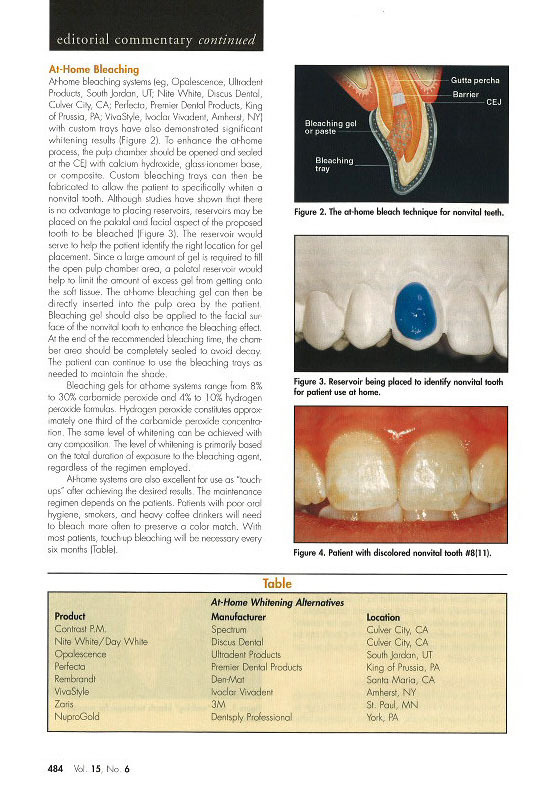 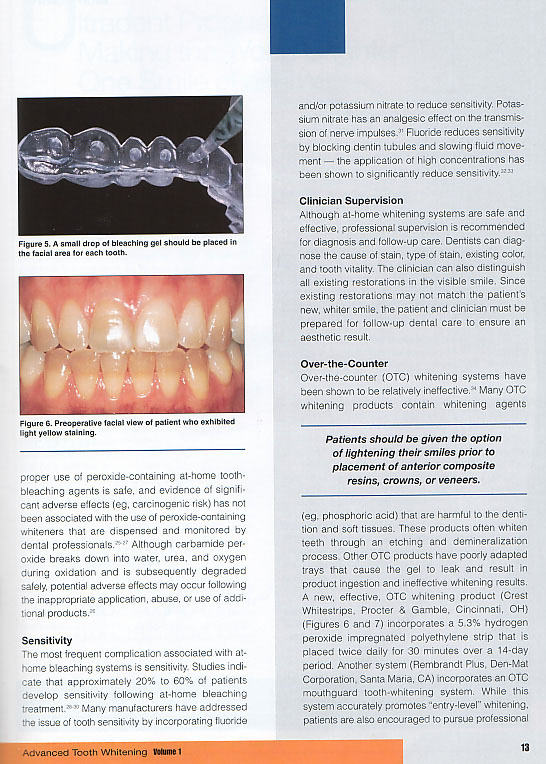 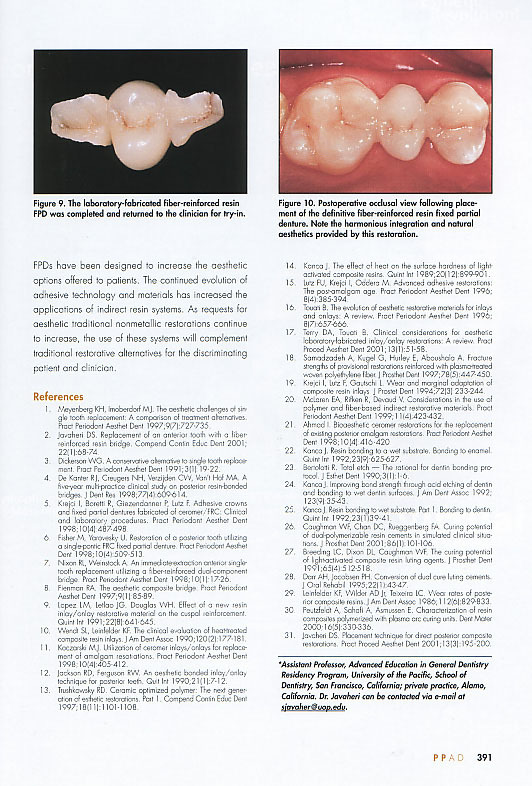 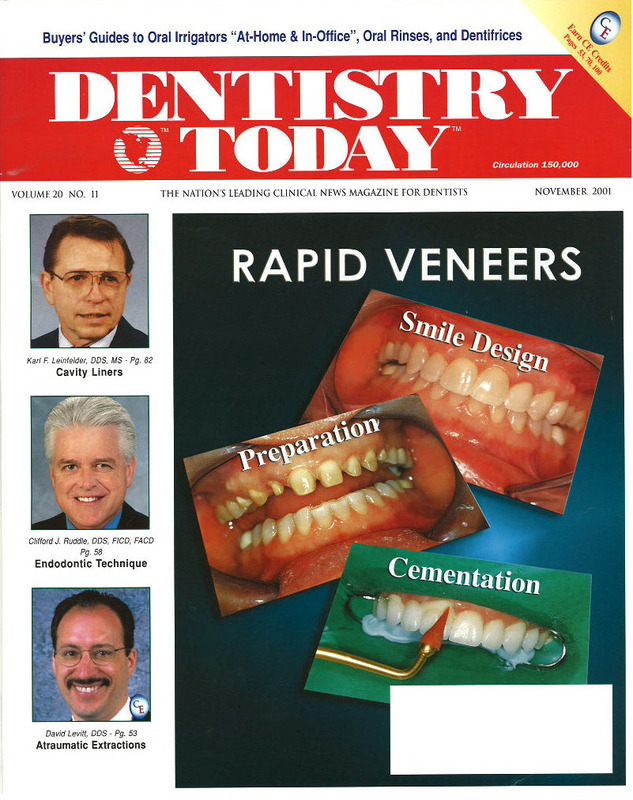 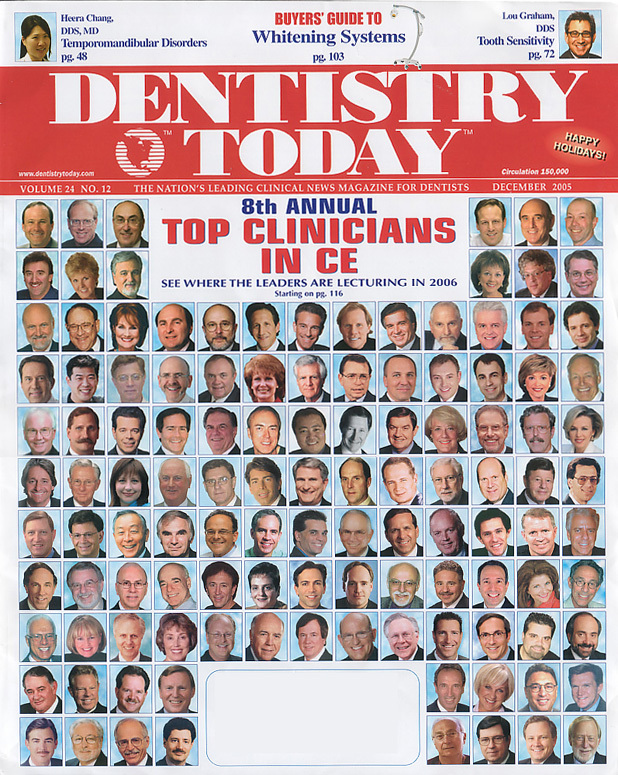 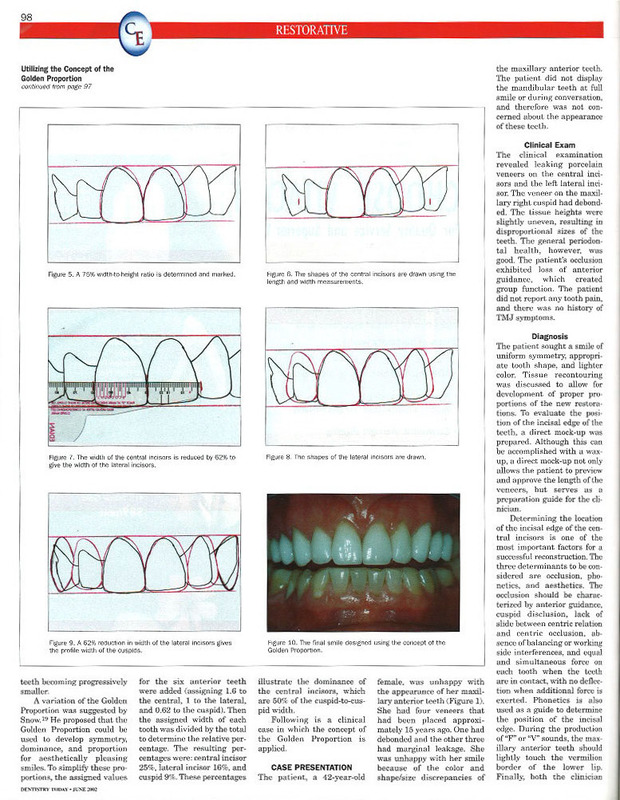 Dr. Dino S. Javaheri has authored numerous articles for many leading dental journals including the Journal of the American Dental Association, Dentistry, Practical Procedures and Aesthetic Dentistry, Compendium, Journal of Operative Dentistry, Dentistry Today, and the Journal of Dental Research. 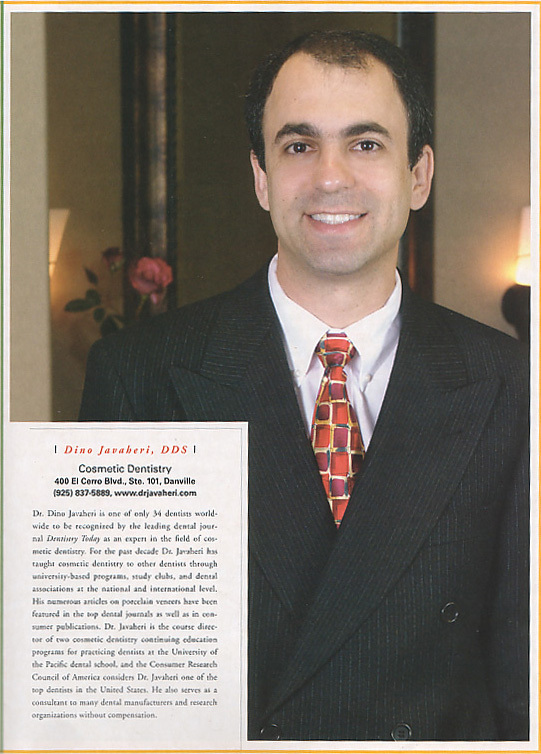 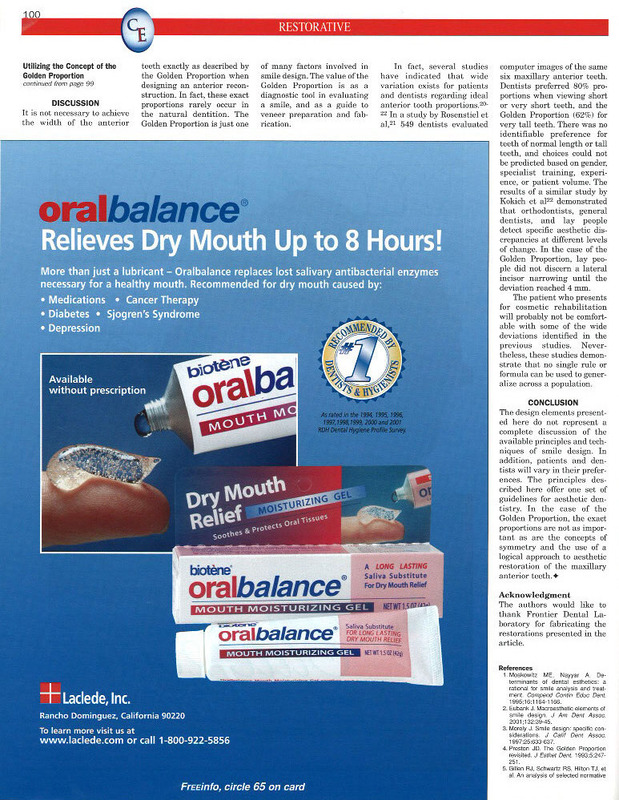 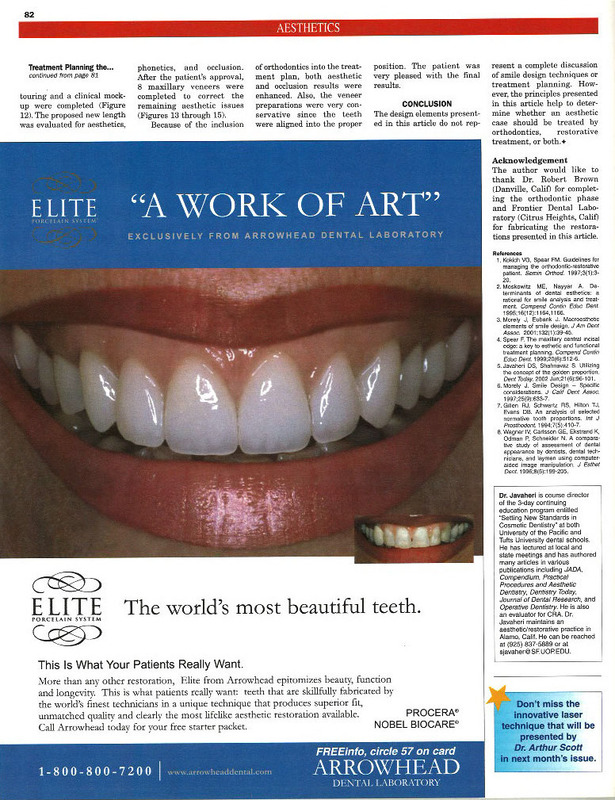 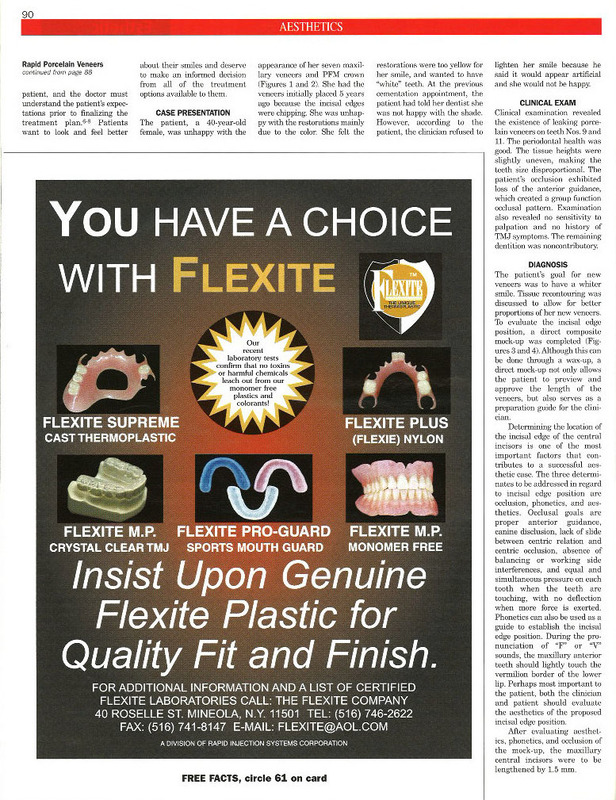 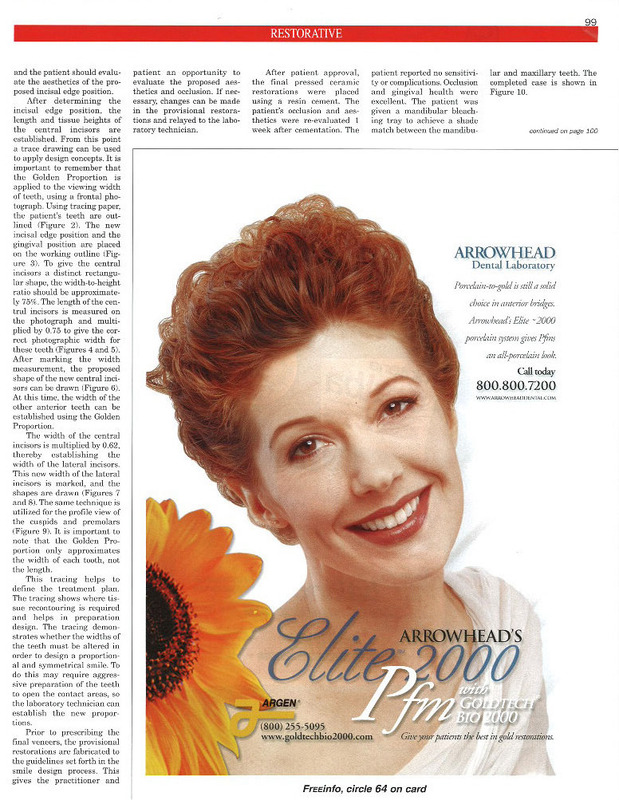 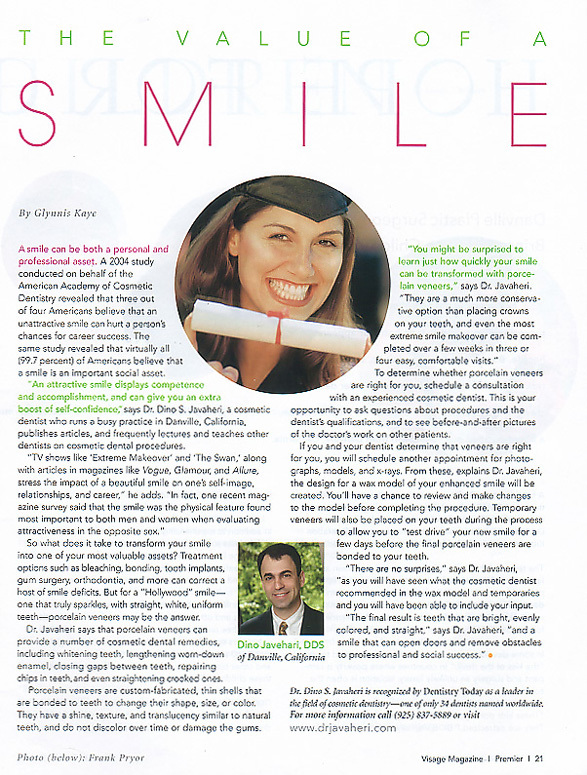 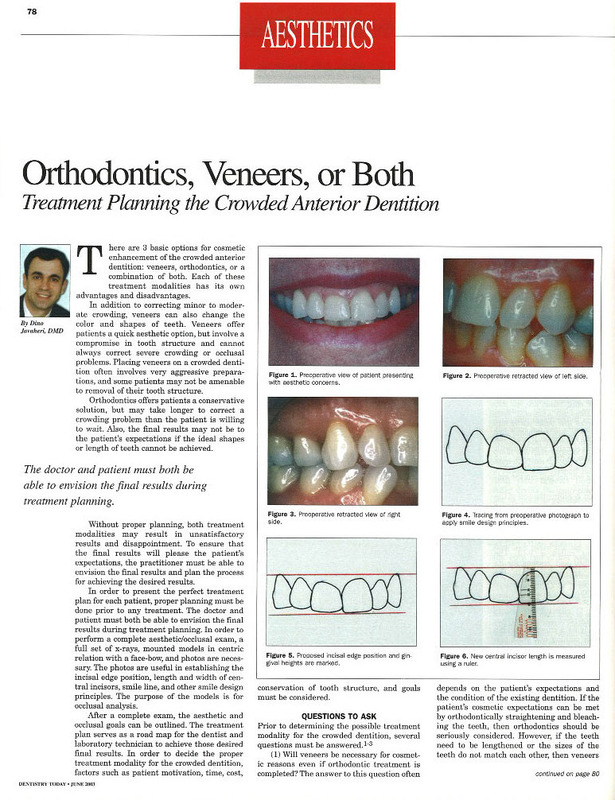 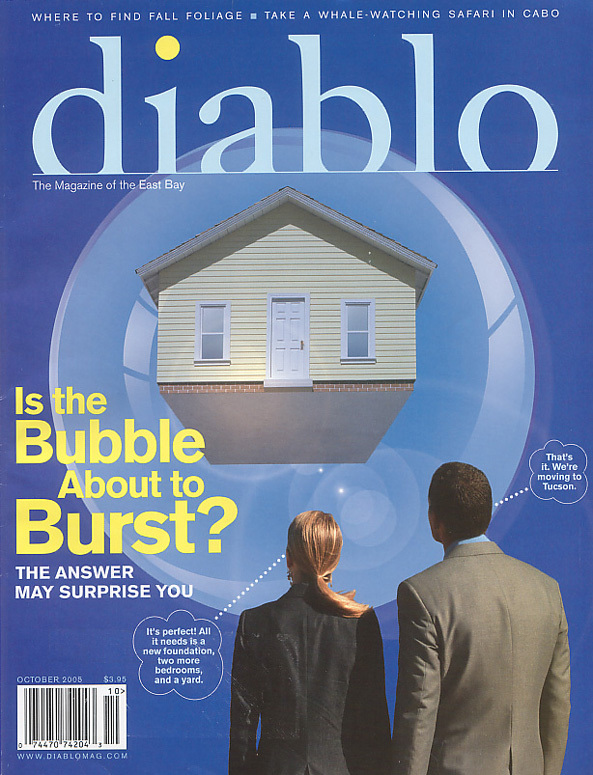 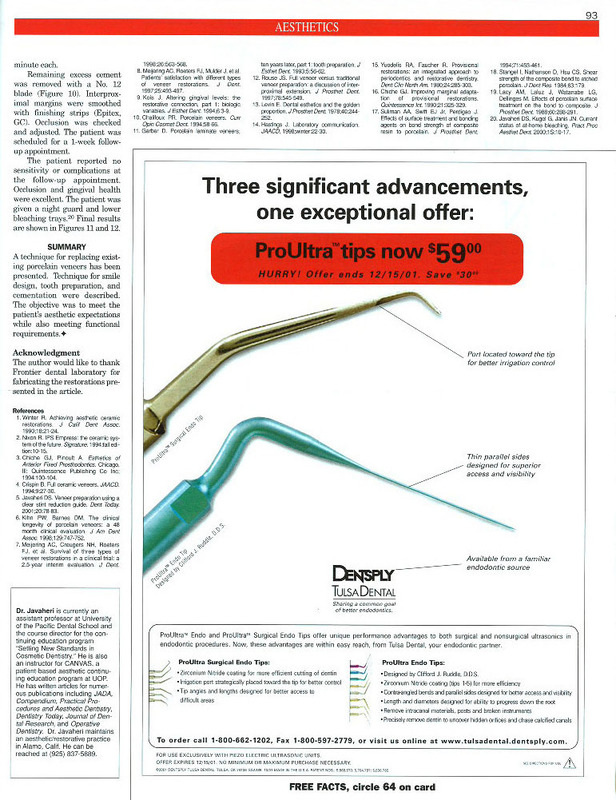 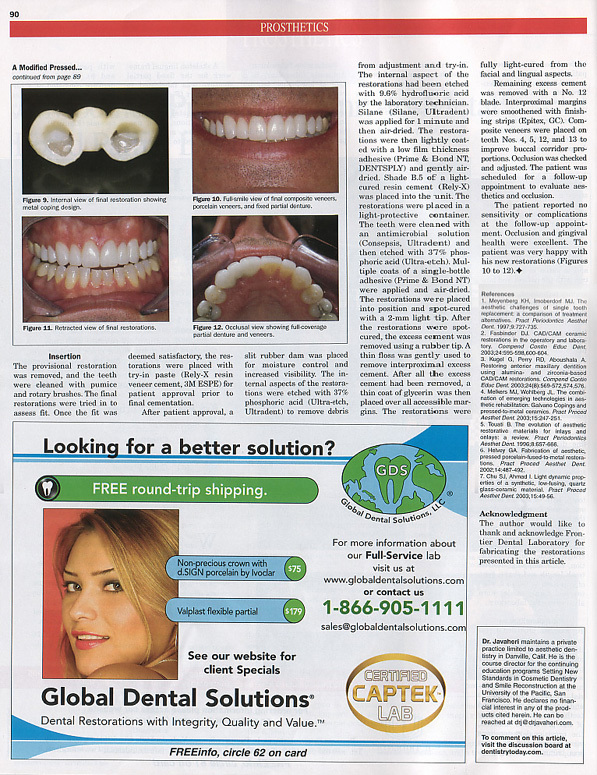 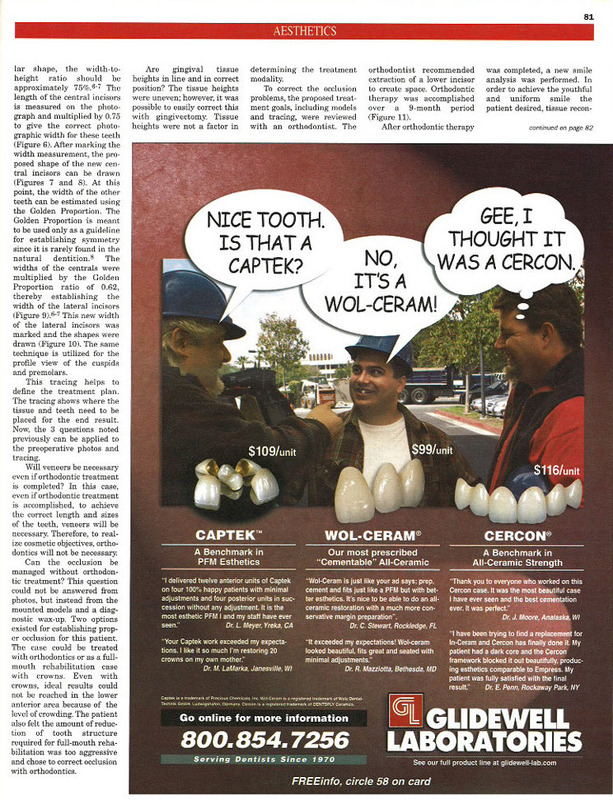 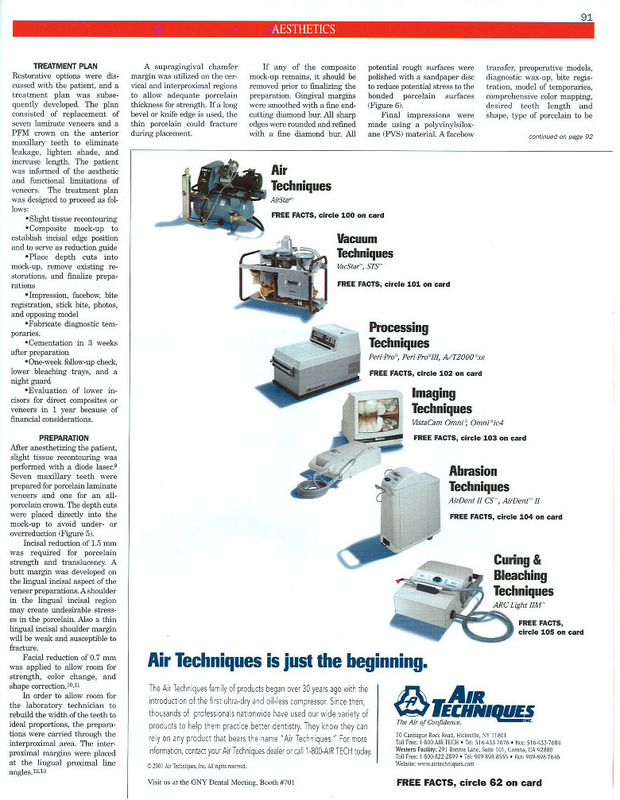 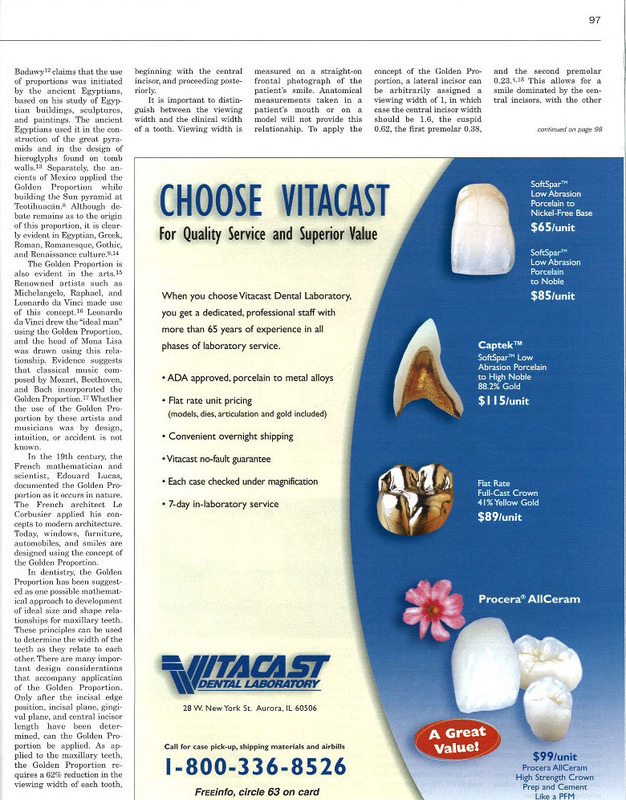 Dr. Javaheri has also been featured and written articles for consumers in Diablo, The San Ramon Valley Times and Alamo Today. 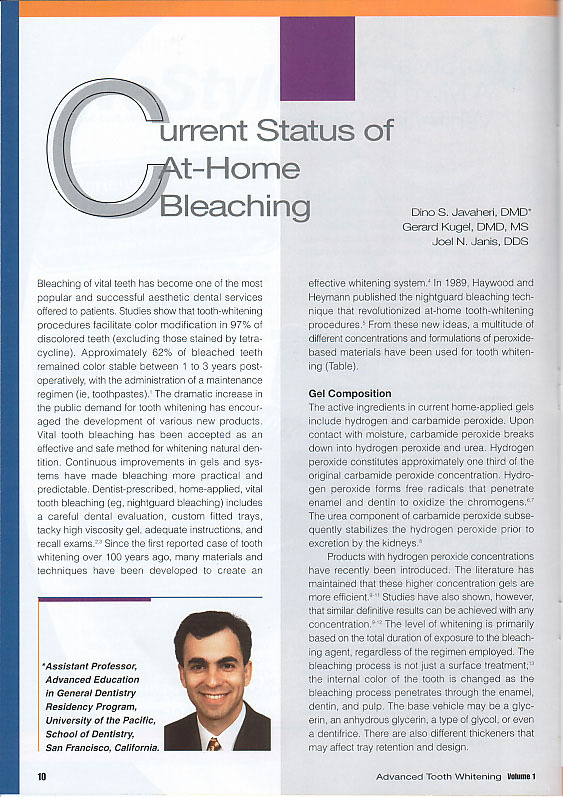 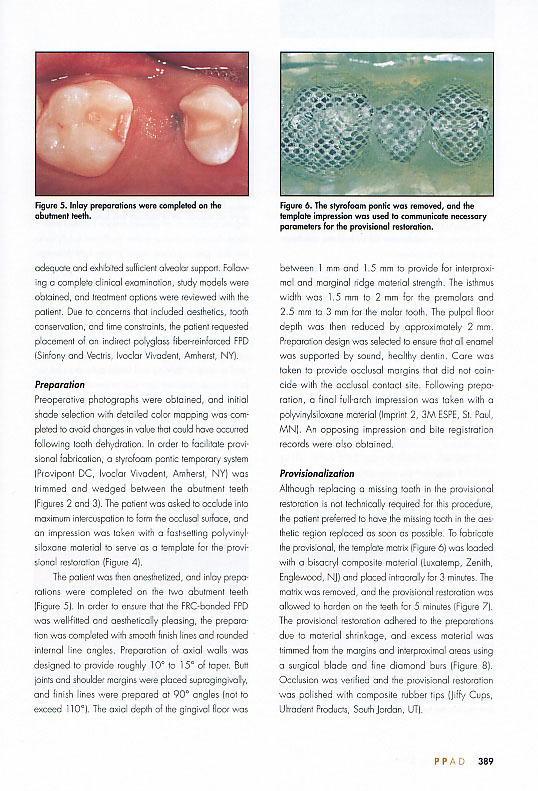 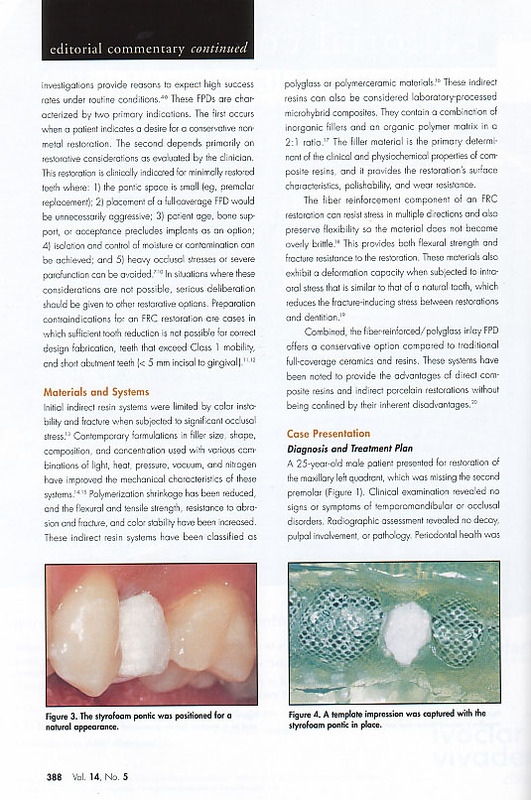 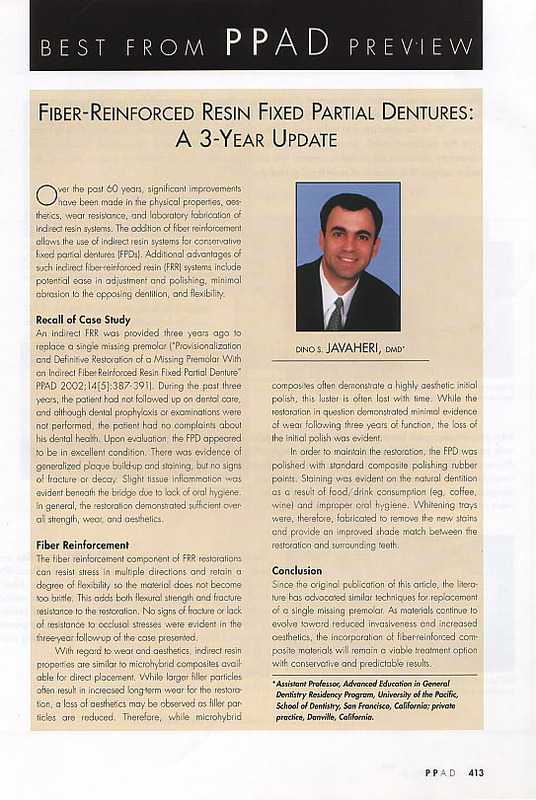 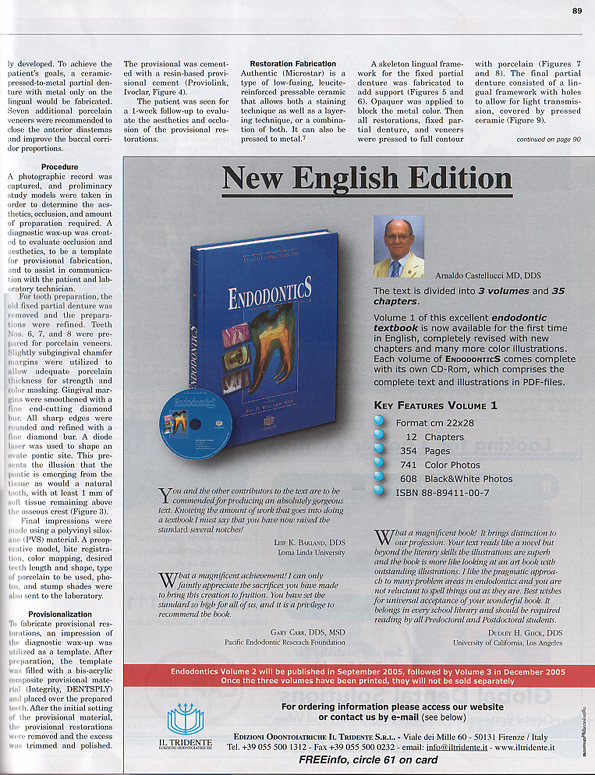 You can browse through some of Dr. Javaheri's articles below. 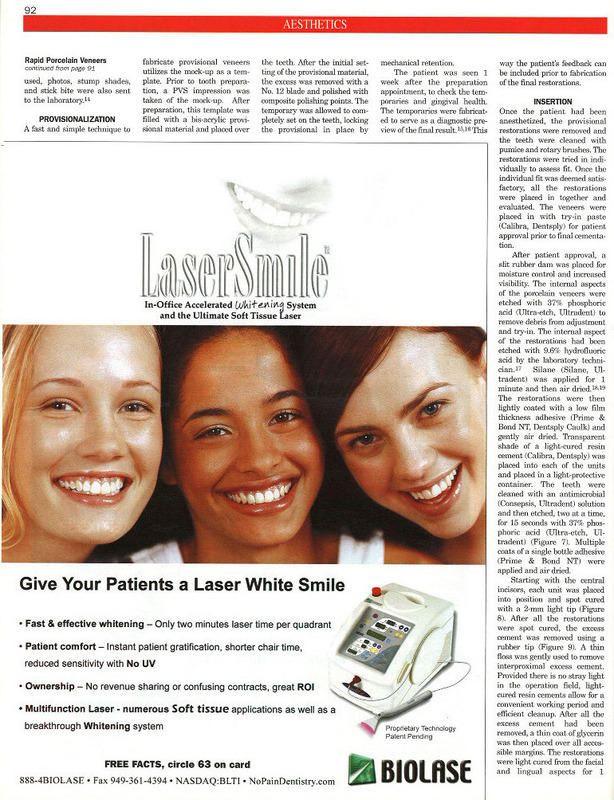 Click on the thumbnail to view the larger image.